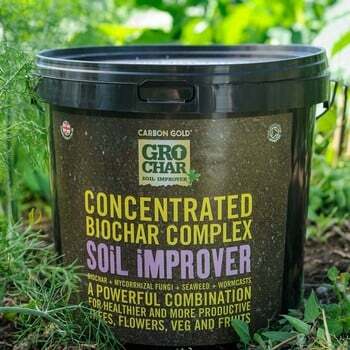 The carbon-rich biochar in Soil Association approved GroChar BioChar Concentrated Soil improver helps keep carbon in the soil for up to 50 years with only one application required - ever! If ordering more than 6 please call customer services for a carriage quote. 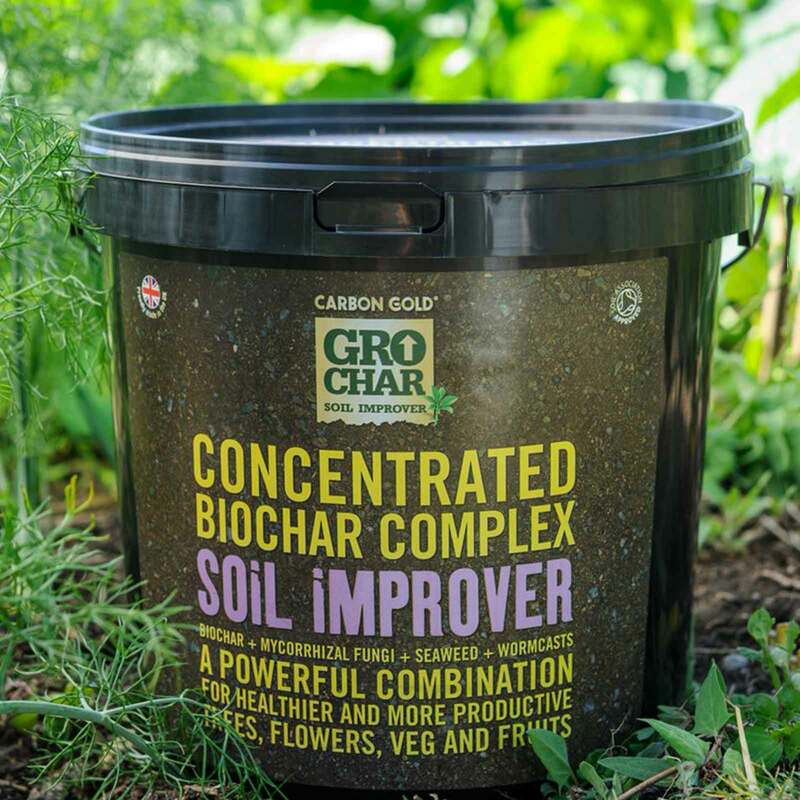 The GroChar biochar's effectiveness is further enhanced by the seaweed, wormcast and mycorrhizal fungi ingredients, which provide an attractive home for beneficial micro-organisms and stabilise nutrients in the soil so root growth and plant development are accelerated. 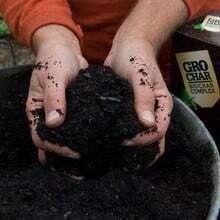 This completely natural soil improver is made by turning waste plant material into charcoal through clean technology, placing carbon in the soil and not into the atmosphere. Use Gro Char Bio Char Concentrated Soil improver as a soil improver, compost additive or apply directly under trees or vegetable transplants. 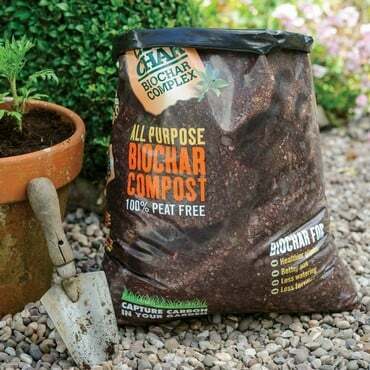 Please Note: If ordering more than 6 please contact customer services on 0333 400 6400 for a carriage quote. 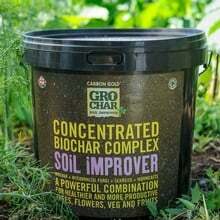 Keeps carbon in the soil for up to 50 years!